We are, once again, the No. 1 office for Buckhead home sales! 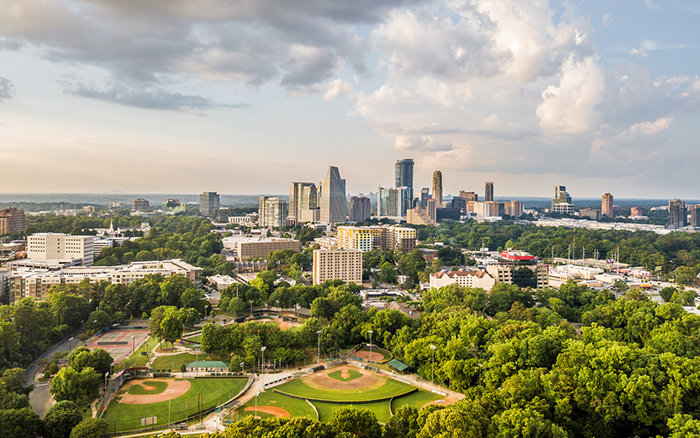 In 2018, Dorsey Alston led all other real estate offices in total volume sold and number of sales of single family homes in Area 21 — Buckhead — according to First Multiple Listing Service (FMLS). Over the last 10 years, Dorsey Alston has led all offices for Area 21 in sales volume and the number of sales for single family homes and attached units. Houses, townhomes and condominiums listed by Dorsey Alston had the fewest average days on market, which was 50 days for offices with more than 70 listed units. Atlanta’s oldest and largest privately held residential real estate company also had the highest number of producing agents in Buckhead. Dorsey Alston has been the No. 1 Buckhead office for 10 years, according to the market data. Dorsey Alston has a culture of supporting its agents from monthly programs featuring successful entrepreneurs and key influencers to ongoing training and continuing education. Their experienced brokers work one-on-one with each Realtor to develop a custom marketing plan for each listing. The team meets regularly with the agents to ensure a successful sale. Dorsey Alston also operates as a team — some would say, family. Agents support one another and pull for one another in a way that is unique in Atlanta real estate. Founded in 1947, Dorsey Alston has a distinguished legacy of real estate service. For more than 70 years, generations of clients have trusted the company and its agents to represent them with integrity, discretion and professionalism.